This last Monday, the fragile trade situation between the U.S. and Europe reached a new boiling point. After the WTO World Trade Organization ruled that the EU was illegally subsidizing France and Germany's aerospace company Airbus, the United States administration announced that it will target $11 billion in European goods with special tariffs. Naturally the EU has responded angrily. This threatens to erupt into a much larger trade war before long if both sides are not willing to back down. Clearly these kinds of events are beyond your control. What you can do is take measures to safeguard your investment and retirement portfolios with some form of save haven assets. Trade wars and the unpredictable end results of them are another reason that Gold makes sense in an IRA. 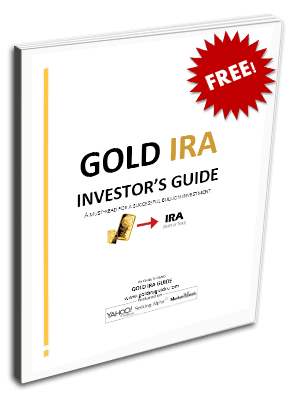 Today is the time for you to look into gold IRA allocation strategies and the Top five gold coins for investors while you still have time. At the end of last year, the WTO ruled in favor of the United States on this case of illegal subsidies to the European firm Airbus. The World Trade Organization stated that the payments had created what they cited as “adverse effects” for the United States. This decision was reached following a multiple year court battle between the U.S. and EU concerning each of their aviation titans Airbus and Boeing. This was merely the opening salvo in what looks like a new battleground in the Trump administration's vaunted trade war. Last Monday the Office of the U.S. Trade Representative pledged that it would apply punitive tariffs on a range of EU produced goods in retaliation. These goods will range from fish to airplanes, to olive oil and wine, to binoculars and dairy products per a preliminary list. The French came out arguing for restraint after America's decision. Their Finance Minister Bruno Le Maire argued that it was the wrong time to begin a trade war between the EU and the U.S. with global growth in slowdown mode. He claimed that it would be both an economic and political mistake to open up a new front in the global trade war with the U.S. and Europe at the center of it. Trump has consistently called out important American trading partners like Canada, the EU, and China for so-called unfair trading practices negatively impacting American companies and workers. President Trump raised tariffs on some imports to the U.S., causing a global trade war that has many analysts and governments crying out it is harming economic activity around the world. It is hard to be clearer than that. Reminding of the risks to Europe from a new trade war, the fund stated that the European economies will be the biggest contributing factor to the worldwide slowdown. This is the an inconvenient time for the EU to be receiving this news, per the European Commissioner for Economic and Financial Affairs, Taxation, and Customs Pierre Moscovici. This is exactly the moment when the EU is wrestling with another upcoming blow in the form of the United Kingdom departing from the block, with or without a deal this fall. Clearly the EU is worried about the potential damage to their own block's economy with this latest delay to Brexit. Between a new front in the trade war with the European Union and the ongoing threat of Brexit waiting in the wings to derail world and national markets, you can not be too careful with your retirement portfolio these days. IRA-approved gold will give you a strong measure of protection against the wheels coming off the global growth engines. You should start buying gold in monthly installments at the very least. Remember to think carefully about the Top gold IRA companies and bullion dealers before you buy.